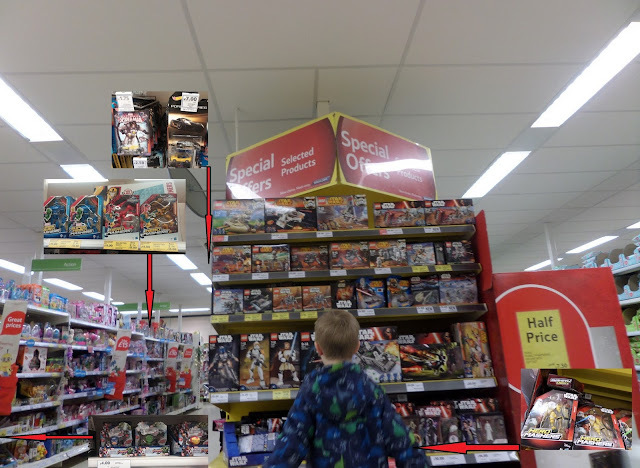 Where Roots And Wings Entwine: Toy shopping for Christmas gifts at Tesco. 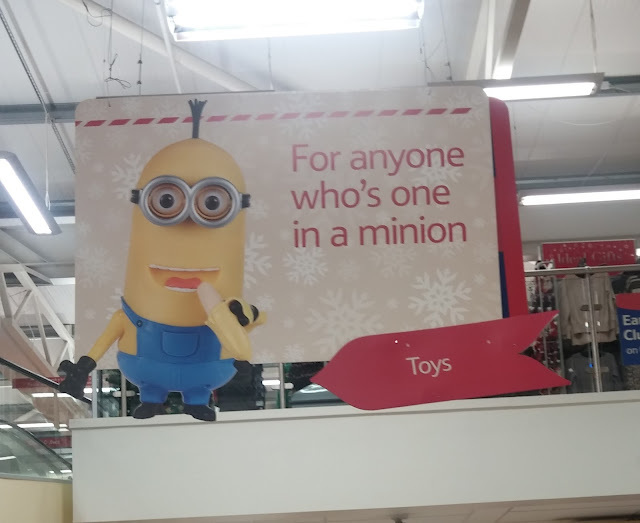 Toy shopping for Christmas gifts at Tesco. I’ve been thinking about Christmas for a while now. To try to make sure things don’t get too hectic in the last couple of weeks before Christmas I have been trying to get organised. I have been buying and wrapping gifts earlier and preparing the Christmas crafts and activities I want to do with the children so that I am prepared and not panicked about last minute shopping and Christmas tasks. My hope is that if I am prepared earlier I can simply enjoy the festivities rather than worry about what else from a long to-do-list needs doing. As life is hectic fitting in special shopping trips can be tricky so I tend to rely on online shopping. 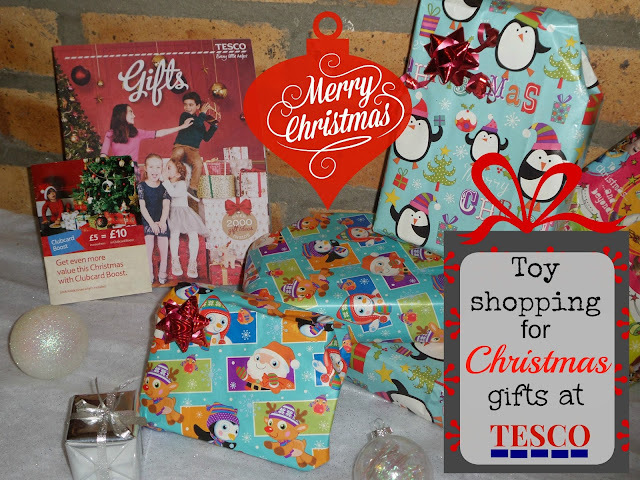 As well as shopping online I have also found it easy and very handy to get a lot of my Christmas gift shopping done in my local Tesco supermarket whilst doing the regular food shop. I love Tesco as it stocks a lot of products ideal for gift giving at Christmas. 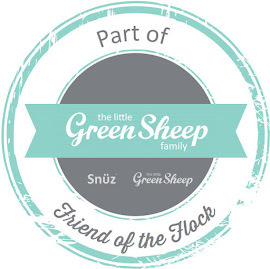 With such a variety of products available all under one roof from clothing, to crafts to books to electricals to entertainments to toys, I can often find something for everyone on my Christmas gift list. 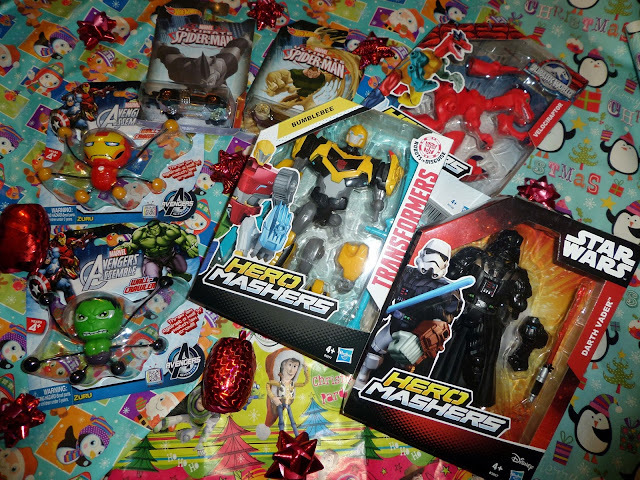 As parents the main gift type that fills our Christmas shopping gift list is toys. Thankfully my local supermarket has a great range of toys to choose from with lots of fun toys to satisfy my children’s love of play. Whilst he doesn’t need any help to find toys, being able to catch sight of toys from yards away, Bug is especially fond of the little yellow friend who is showing the way to the toy area within the store. 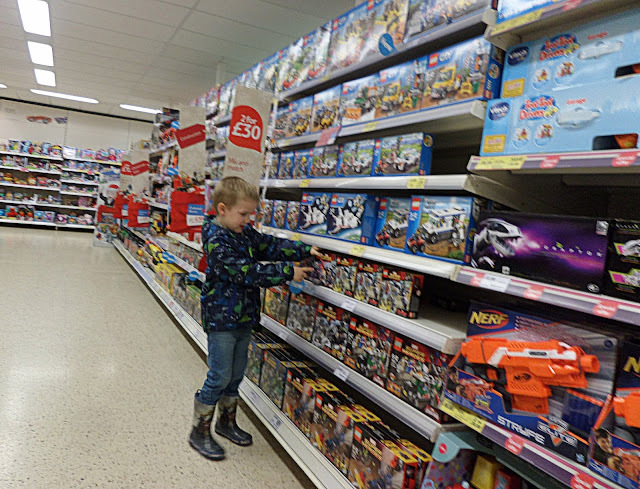 Even when we do not need to pass the toy area whilst doing our food shopping, Bug cannot resist the draw of the toys and loves nothing more than checking out what amazing toys there are inspiring what he wants for Christmas. 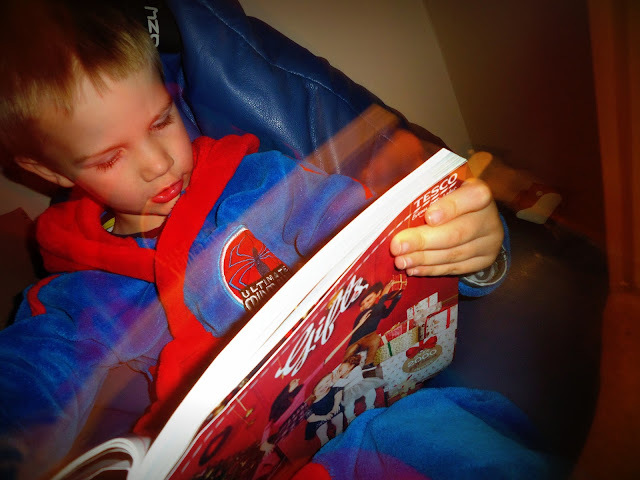 On a recent food shopping trip when Bug was at a school so he could not see what toys I bought – as he gets older it is near impossible to sneak in a toy or two without his toy seeking eyes catching a glimpse – I picked up a few toys for Bug for Christmas. 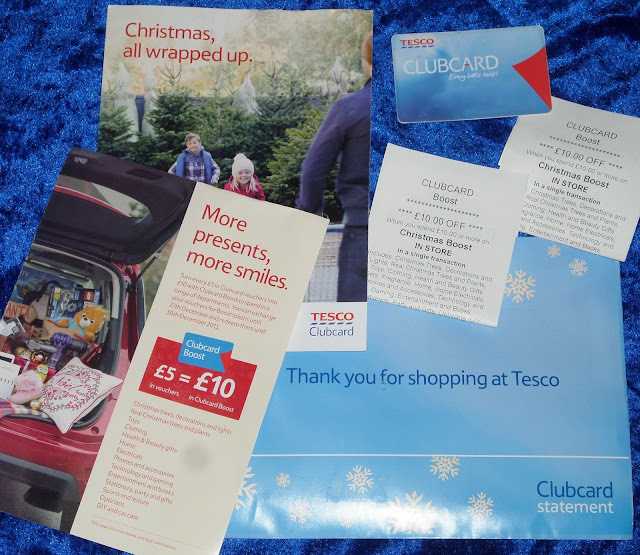 What I love about buying gifts from Tesco is that I can also get Clubcard points for my purchases which in turn can be used during their Clubcard Boost events which is great for saving us money, a great thing for a low income family at Christmas. My Clubcard points go further, being doubled up thanks to the Boost event and as such I often get a number of toys for free! 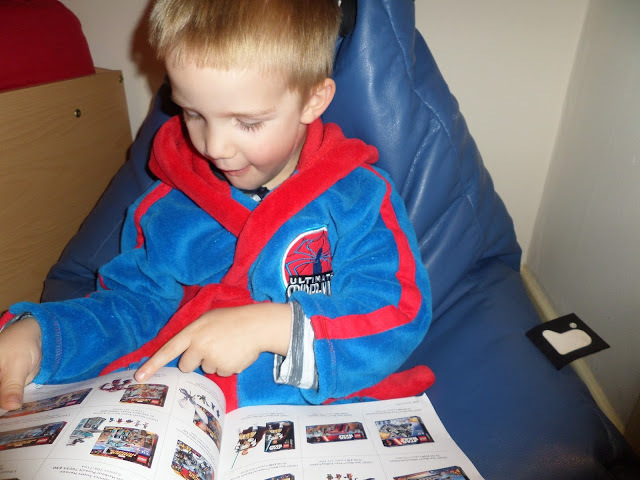 Whilst I know Bug’s taste in toys, books and clothes very well to make sure he gets what he would love the most for Christmas I recently got him to browse the Tesco Christmas gift catalogue. 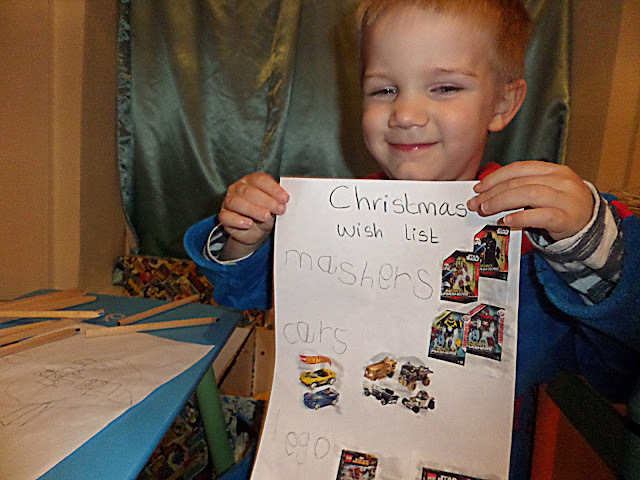 He then set about creating a Christmas wish list with a few of his top, must-have items. 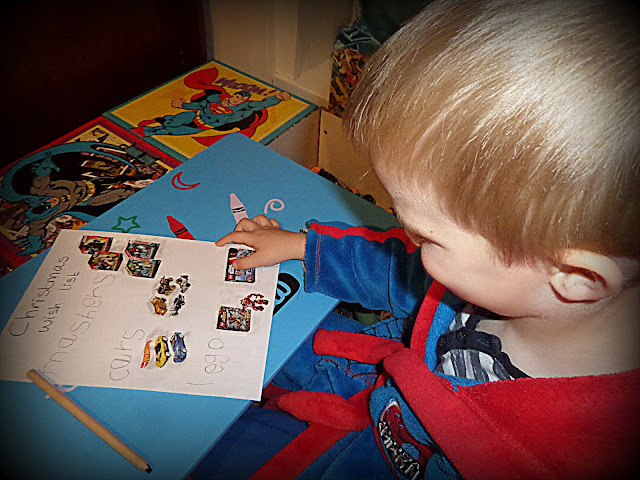 Reminding me of when I was younger when I would make my own Christmas wish lists he also wanted to cut out his favourite toys to stick on his list to go next to his very own writing – eek he is getting a big boy doing his own writing! 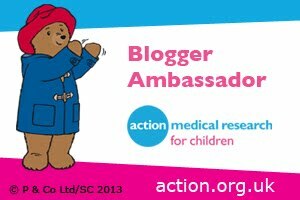 Proud mummy moment! With a little hint from Bug with his Christmas wish list and a little help from Jelly Bean who helped mummy buy his big brother a few presents, I am that little bit closer to having got everything on my Christmas gift shopping list so I can tick off another Christmas task from my to-do-list. As part of my attempt to be organised and prepared for Christmas early so I can simply enjoy the time with my family I have been making sure to wrap gifts as soon as I can. 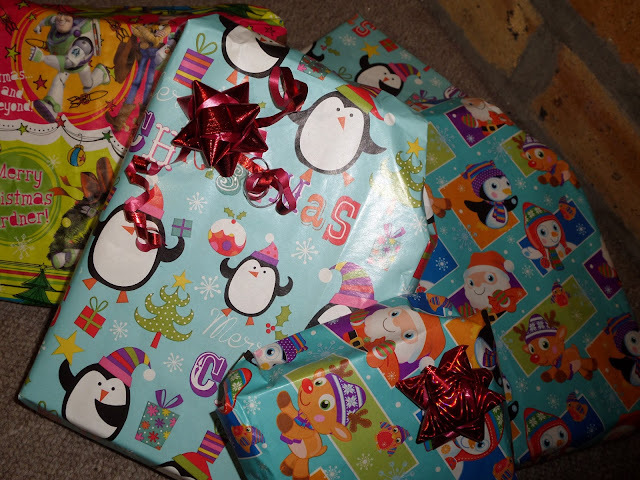 I am adamant that I will avoid wrapping presents on Christmas eve this year! With red being Bug’s favourite colour he is having red bows and ribbons to mark what presents are his. Now all we need to do is to put up the Christmas tree and decorations so that I have somewhere to put the already wrapped Christmas presents. Where do you do most of your Christmas shopping? 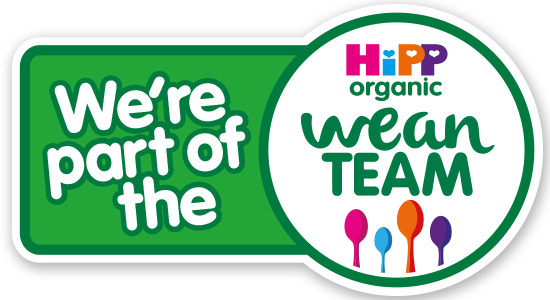 Do you shop for Christmas gifts at your local supermarket?